I use Continuous integration as part of an Agile development cycle. I constantly struggle to make functional tests run fast enough. Ideally they are run after every build and at the very least they are run every night. I have quite a few functional tests, which are I/O bound, so I’m going to try and install SQL Server on a RAM Drive. After a quick google Data Ram’s Ram Drive appears to be the best RAM Disk out there… or at least their website has the best SEO. They have a 4 GB free version so I figure I’ll give that a try. The installer is straight forward. The configuration is easy too. Here are the configuration settings I entered. I created a 2 gig disk and saved it to C:\RAMDisk.img. Click [Start RAMDisk] to begin. Now we have a 2 gigabyte un-formatted drive. The next step is to format it! Select Start Menu > Disk Management. 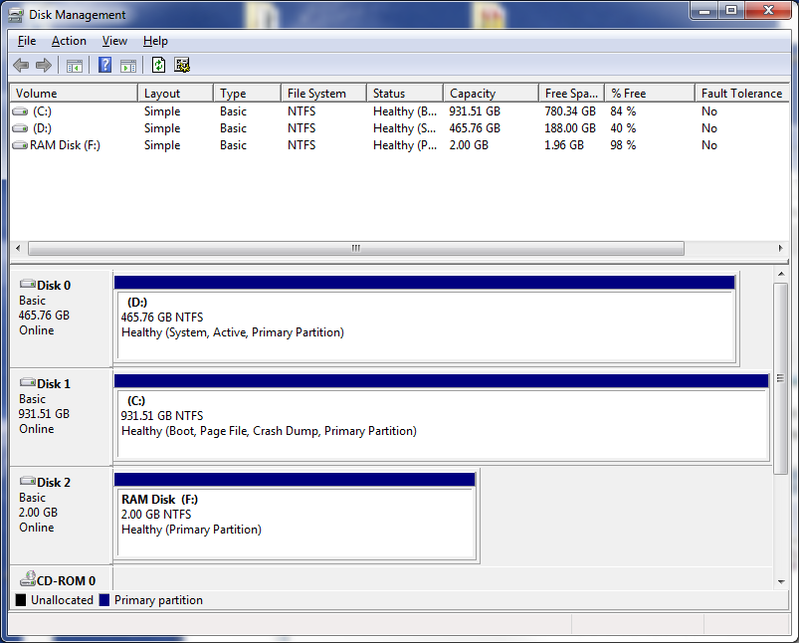 Select NTFS and use all default settings. That’s all! 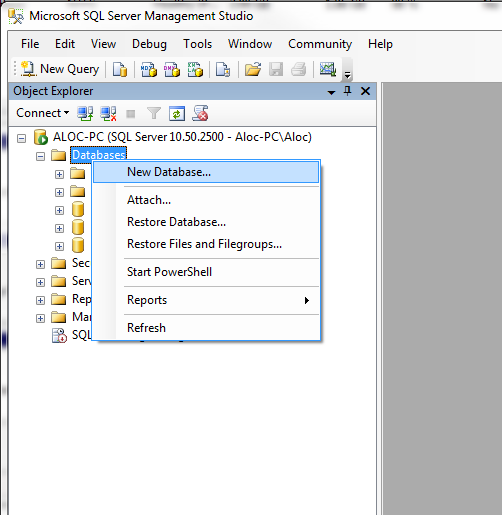 Run SQL Server Management Studio. Create a new database. Specify the F:\ Ram Disk. That’s it! 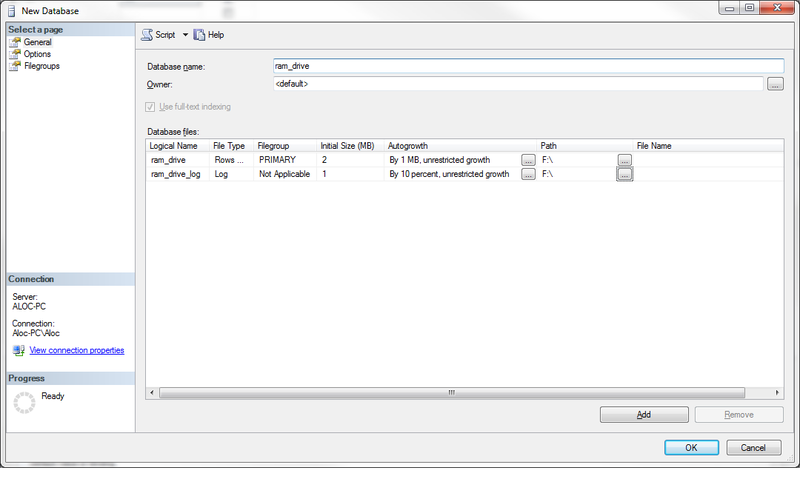 Create tables and insert data freely. 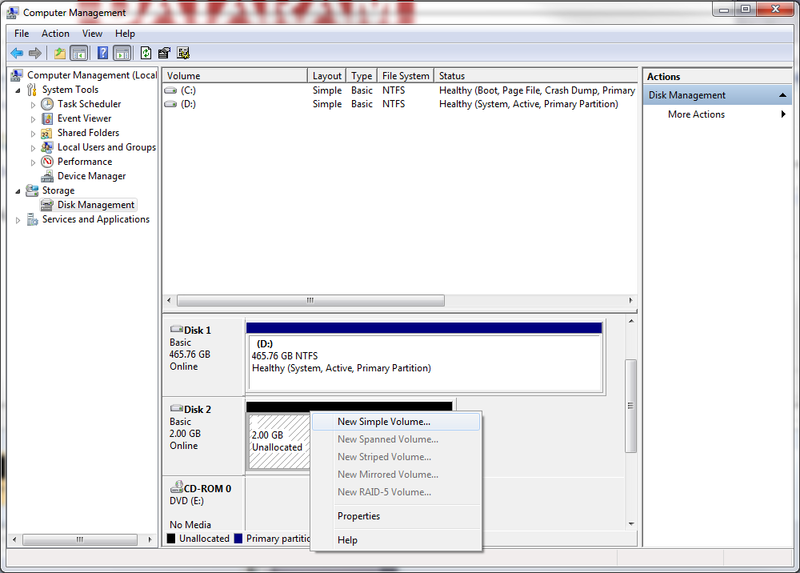 Remember to save the RAM Disk periodically from the DataRam Configuration Utility used above. Todo: Compare database dependent functional tests before and after the RAM Drive. This entry was posted in .Net, Unit Testing and tagged Awesome, Functional Testing, RAM Drive, SQL Server. Bookmark the permalink.